Wes Anderson is the most influential comedic voice from the past two decades of American cinema. A true auteur, his intimate involvement in each of his films; Bottle Rocket, Rushmore, The Royal Tenenbaums, The Life Aquatic with Steve Zissou, The Darjeeling Limited, Fantastic Mr. Fox and Moonrise Kingdom, includes scriptwriting, set design, soundtrack selections and unit photography. Anderson's visual artistry, inimitable tone and idiosyncratic characterisations make each of his films instantly recognisable as "Andersonian. 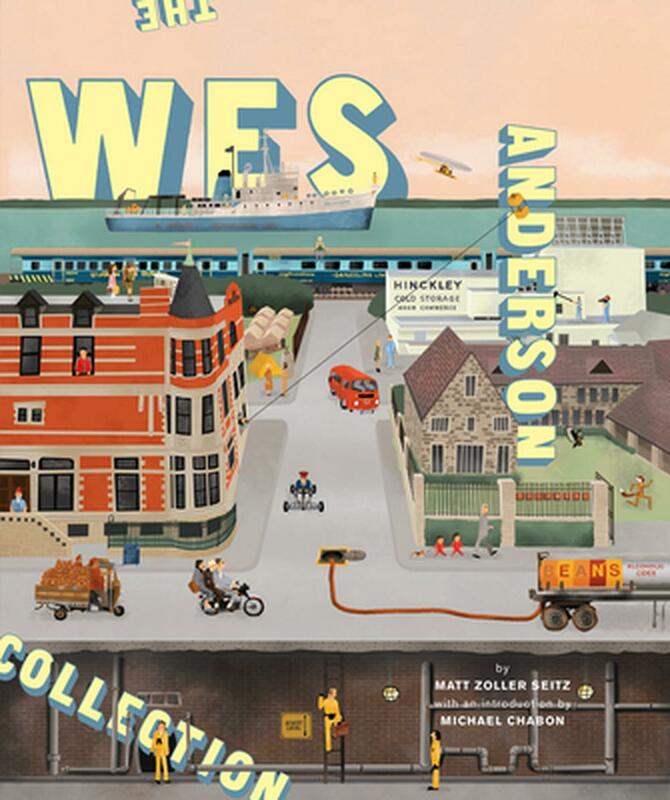 "The Wes Anderson Collection is the first in-depth overview of Anderson's work, guiding readers through the life and career of one of the most talked-about contemporary filmmakers. Previously unpublished photos, artwork and ephemera complement a book-length interview between Anderson and award-winning film critic Matt Zoller Seitz, who offers insights into Anderson's creative process, influences, and the production of his films. These elements come together in a meticulously designed object in the spirit of Anderson's movies: melancholy and playful, wise and childish--and thoroughly original. Matt Zoller Seitz, a Pulitzer Prize finalist for criticism, is a leading expert on Wes Anderson's life and work. Seitz wrote some of the earliest published articles on Anderson and the Wilson brothers and has written for The New York Times, New York Press and Film Forum. Seitz currently writes for New York Magazine and is a founder of and contributor to IndieWire's Press Play blog. Wes Anderson was born in Houston, Texas and studied philosophy at the University of Texas, where he met future collaborator Owen Wilson. Anderson resides mainly in Paris.